Friendly, Efficient, Enthusiastic, honest and extremely on the ball are only a few of the qualities of South France Villas. We have been working together since 2013 and are so pleased with the partnership that we haven’t approached another company. In fact it’s like being part of a family. South France Villas communicate very well with their clients and owners which results in perfect satisfaction for both parties. It is a pleasure speaking to any of the staff at South France Villas they are all fun and bubbly and nothing is ever ‘A Problem’ – there are only solutions!!! We are always keen to add top-end, beautiful properties across France, Corsica and Morocco to our growing portfolio. All villas listed on our site must have a private pool (unless they are on a beach) and offer the holiday maker great levels of comfort, be well maintained and managed and offer as many inclusive services as is possible. 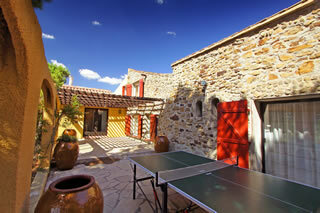 Why work with South France Villas? Put your property in safe hands! South France Villas is a privately owned, independent, family-run business offering a professional service. Professional Service: We have been successfully marketing French luxury properties since the year 2000, so we have many years of experience in renting high-end, luxury private villas. Nowadays many ‘internet’ based companies appear and disappear overnight, so why not have the safety of mind knowing that you can entrust your property to an established company brand who will look after you in a personal and friendly manner. We hold the trade mark for the South France Villas logo from the UK, the European Union and the Benelux countries. We are a UK registered Limited Company. Our staff are friendly and French speaking: whether you are an English, French or Russian property owner and would like to unlock and maximise the potential revenue of your French property we can help you. Our French and Russian speaking staff know the regions, the villas, and how to guide clients through the shortlisted properties to the one which is right for their family holiday. We will visit your property: we can arrange a property visit, and advise you on a number of issues whether health and safety, rental legislation, insurance or areas which may need attention. In light of ever-increasing cases of ‘villa fraud’ on owner-direct holiday rental websites, we offer clients the assurance of having visited most our listed properties with the aim of meeting the individual property owners and familiarizing ourselves with them and their property. We have legally binding contracts with all our property owners and there is always someone available for you to talk to should you have any questions about a particular booking we have taken on your behalf. We will also arrange for professional photographs to be taken if needed. Nowadays with the fast moving technology it is even sometimes useful to have a short video of the house. Understanding the market: Understanding the market and keeping in close contact with our property owners and rental clients are the most important factors in keeping on top of the rental industry. 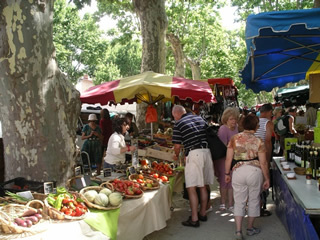 We spend much of our time in France (being French home owners ourselves from 1988) and know the area very well. We were one of the first on-line villa booking companies to set up back in the year 2000 so have literally years of experience in giving home owners the right rental advice whether it’s pricing or equipment and services. Marketing your property: We will market your property by many different means making sure we will reach discerning clientele worldwide. a. Google Search – finding our site on the first page of google for any key words combination for ‘South France’ and ‘Villas’ is essential for visibility. So we make sure we have top ranking organic and paid listings. b. Foreign Language Search Engines – our home page is translated into 7 languages including Russian, German, Swedish, Dutch and Norwegian to maximize search engine visibility in non-English speaking countries. c. Travel Agency Partners worldwide – we have many travel Agency partners, and specialist concierge agent companies from Russia to Dubai and from Holland to the USA who will show potential clients villas listed on our site, or who will come to us if their clients are looking to rent something special in France or Morocco. d. Advertising on other website portals – we take advertising on many other relevant website portals like DreamVillaRentals, HouseintheSun, French Entrée and many many others. e. We have the technology for XML feeds of our web content to partner sites like Travelopo and HolidayLettings so your villas reach an even greater market. f. Media and press campaigns – regular media and press campaigns from the Sunday Times to ‘France’ magazine ensures our brand name is well known and some of our high-profile villas featured in the travel sections of the National press. Flexibility and Communication: We understand our owners want to maximize their levels of occupancy, so are interested in working with more than one agent. This is why we do not ask for exclusivity – only for good communication levels so that our ‘live’ availability calendar is constantly up-to-date. Our offices are open 365 days a year, so there will always be someone to pick up your email and answer questions. Transparency and Cost: we can advise owners on a competitive price structure so that the property is not priced out of the market. We will agree a price structure and add on our commission which varies depending on the owner price. By comparison, we have found some agencies adding on as much as 50% commission to the owner’s net rates! At most we set our commission at 20% of the advertised price however, we often share this commission with our partner agents without deduction from the owner net receipts – this gives you the peace of mind of knowing that no matter where the clients come from, your net prices are not affected. Unrivalled Enthusiasm: We know how precious family holidays are especially when people are leading busy and pressured lives. We like to think that we move with the times and upgrade our property selection offering more and more contemporary high quality luxury accommodation, seeking only the very best on the rental market. We are passionate about France and Morocco and passionate about property and together with our courteous, efficient and quick service both our owners and our clients are in safe hands. Please contact us on info@southfrancevillas.com or ring our offices on 0207 060 5414 (within UK) or 00 33 6 51 36 80 05 (Mobile from outside UK) and we can discuss steps to renting your French property on our site. Votre service est parfait et avec toujours quelques pointes d'humour ce qui n'est pas désagréable en ces temps moroses. Bises très sincères de Pouzols Minervois. Nous sommes toujours demandeurs de belles propriétés haut de gamme à ajouter à notre sélection grandissante de biens en France, en Corse et au Maroc. Toutes les villas figurant sur notre site répondent à des critères précis. Elles ont une piscine, à moins qu’elles soient les pieds dans l’eau: accès direct à une plage. Elles offrent un niveau de grand confort. Très bien entretenues, elles incluent un maximum de services pour le loisir des vacanciers. Pourquoi travailler avec South France Villas? Mettre son bien entre des mains sûres! South France Villas est une entreprise familiale, une compagnie privée, gérée indépendamment, offrant un service professionnel. Un service professionnel. Notre service de locations saisonnières de luxe a été fondé en 2000. Notre expertise est basée sur le succès de notre compagnie. De nos jours beaucoup de sites de location de vacances apparaissent pour disparaitre peu de temps après. Avec South France Villas, vous confiez votre bien à une compagnie qui a fait ses preuves: une excellente réputation, avec un service personnel et attentionné. Nous sommes détenteurs du label South France Villas pour la Grande Bretagne, l’Union Européenne et le Benelux. Notre compagnie est une SA à siège social en Grande Bretagne. Notre petite équipe sympathique parle parfaitement le français. Que vous soyez Français ou Anglais, notre but est d’optimiser le revenu potentiel de votre bien en France. Nous parlons l’anglais et le français couramment. Notre connaissance des différentes régions de France d’une part et de toutes nos villas de l’autre, nous permet de guider nos clients dans leurs choix. Nous leur offrons un service sur mesure et un choix parfaitement adapté à leurs besoins. Nous inspectons nos propriétés. Nous pouvons vous rendre visite sur place afin de vous conseiller en matière de sécurité des lieux, lois, assurances ou autres domaines concernants les locations saisonnières. En prévention de fraude de villas ‘fictifs’ qui peuvent advenir sur les sites de particulier à particulier, nous certifions avoir visité et approuvé la grande majorité de nos villas. Au cours de nos visites, nous rencontrons les propriétaires et faisons l’état des lieux. Nous établissons des contrats conformes à la loi avec eux ainsi qu’avec nos locataires et sommes toujours disponibles pour répondre à vos questions concernant une réservation. Nous pouvons organiser des photos professionnelles. Avec la technologie actuelle, cela peut etre utile d’avoir une courte video de votre bien. Comprendre le marché de la location saisonnière. Notre expertise dans l’industrie du tourisme et nos relations avec nos propriétaires et nos locataires, sont à la base de notre savoir. Nous sommes extrêmement sensible aux tendances de la location saisonnière. Nous passons beaucoup de temps en France, étant nous-même propriétaires ici depuis 1988. South France Villas était un des pionniers de la location par internet en 2000. Riche de notre expérience, nous espérons apporter bon conseil à nos propriétaires: qu’il s’agisse d’établir un tarif hebdomadaire ou d’améliorer les prestations d’un logement. Promouvoir votre bien. Nous utilisons une panoplie d’outils de marketing appropriés pour une promotion efficace de votre villa. a.Google: notre visibilité est primordiale. Notre site apparait en première page pour une recherche des mots ‘South France’ et ‘villas’. Nous maintenons notre position en haut des listes automatiques et payantes. b.Moteurs de recherche en langues étrangères: notre page d’accueil est traduite en 7 langues, entre autres en russe, allemand, suédois, néerlandais et norvégien afin d’optimiser notre présence internet. c.Partenariat avec les agences de voyage internationales: nous collaborons avec plusieurs agences par le monde de Dubai à la Russie en passant par la Hollande et les Etats Unis. Ces agences offrent nos villas ou nous consultent pour créer des services clé-en-main pour leurs clients désireux de louer un bien en France ou au Maroc. d.Promotion internet: South France Villas maintien une présence publicitaire sur DreamVillaRentals, HouseintheSun, French Entrée et autres sites internet. e.Campagnes presse et média: nous contribuons fréquemment à la presse du ‘Sunday Times’ à ‘France Magazine’ pour assurer la propagation de notre nom. Certaines de nos villas haut de gamme ont fait leur apparition dans la presse nationale. Flexibilité et communication. Il est clair que nos propriétaires veulent faire fructifier leur bien au maximum. Nous comprenons parfaitement qu’ils travaillent avec plusieurs agences. Nous ne demandons pas une exclusivité, simplement qu’ils nous tiennent scrupuleusement au courant de leur calendrier d’occupation. Nos bureaux sont ouverts 365 jours par an. Il y a toujours quelqu’un pour lire un mail ou répondre à vos questions. Transparence et coût. Nous sommes là pour établir le meilleur tarif pour chaque bien. Nous construisons un barème annuel auquel nous ajoutons notre pourcentage. Certaines agences prennent jusqu’à 50% de commission. Nous prenons un maximum de 20% du prix affiché et quand nous devons partager notre commission avec des agences partenaires, nous ne pénalisons pas nos propriétaires. Votre tranquillité d’esprit est garantie en sachant que votre revenu net ne souffrira jamais. Un enthousiasme inégalé. Nous savons à quel point les vacances sont importantes, surtout quand nous menons des vies si remplies. A South France Villas, nous espérons combler toutes vos attentes. Nous tâchons d’améliorer notre sélection constamment en cherchant le meilleur du marché et incluant de plus en plus de villas luxueuses. Nous avons une passion pour la France et le Maroc et les belles propriétés. Notre service courtois et efficace, offre le meilleur à nos clients qu’ils soient propriétaires ou locataires. Pour discuter de la promotion de votre villa plus amplement, veuillez nous contacter t à info@southfrancevillas.com, au portable 06 51 36 80 05 ou en Angleterre au + 44 207 060 5414.